A discussion about urban renewal in the Hudson Valley and exploring creative ways communities mobilize around contested landscapes has been set for Sunday, April 7th, from 3 to 5 pm, at the Fullerton Center, 297 Grand Street, Newburgh. Featured panelists include Ben Schulman of Newburgh Packet, David Hochfelder and Anne Pfau of 98 Acres and University of Albany, and artist, academic, and author of Contested City, Gabrielle Bendiner-Viani. 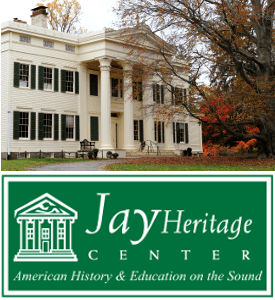 This talk will provide an overview of the historical narrative and foundation for urban renewal in the Hudson Valley. 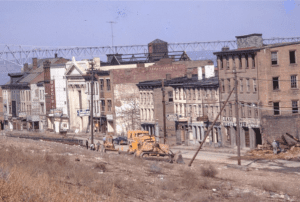 Brief powerpoint presentations will compare what happened in Poughkeepsie, Peekskill, Kingston, and Newburgh, as well as discuss urban renewal in Albany. The panelists will reveal how the urban renewal story has focused on larger cities and ignored the overweight effect on smaller cities. Lastly, panelists will discuss how the social narrative of urban renewal has largely been marginalized, but is now being reshaped and activated by artists/activists who are assigning and finding meaning in contested cityscapes – particularly in places still grappling with urban renewal legacy effects. This event is free and open to the public. Reservations are appreciated. RSVP to dosmallinterventions@gmail.com. This event is presented in collaboration with The Fullerton Center, Dept of Small Interventions, and Binnacle Books- a community bookstore in the Hudson Valley. Photo of Newburgh courtesy Tom Daley.